I occasionally run across or receive pictures of various parts that were used on 428 Cobra Jet engines. I don't always have pictures of the different variations of the part used during the three 428 Cobra Jet Mustang model years, or there might just not be much to say about the part to warrant a separate web page for identification. I'll try to keep images of these miscellaneous parts on this web page to make them available for people to see. I've noted the people who have shared images by including their name next to the image(s) they have provided -- thanks! Part numbers, where listed, are known Mustang service part numbers. They may or may not be accurate for other car lines. Heater hose tubes: These tubes were used on some 1970 Mustangs, including those equipped with a 428 CJ or SCJ engine, between the heater hoses at the firewall and the hoses at the front of the engine. The tubes mount along the top side of the passenger-side valve cover. Thanks to Bill Upham for sharing the correct service part number. Throttle cable brackets: The 1968 and 1969 versions mount to carb studs. 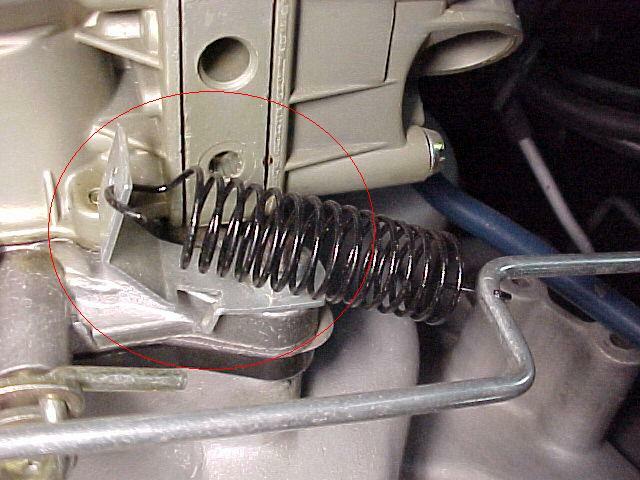 The 1970 version is bolted to the intake and includes a small loop used to attach a return spring. All were originally finished in phosphate and oil. 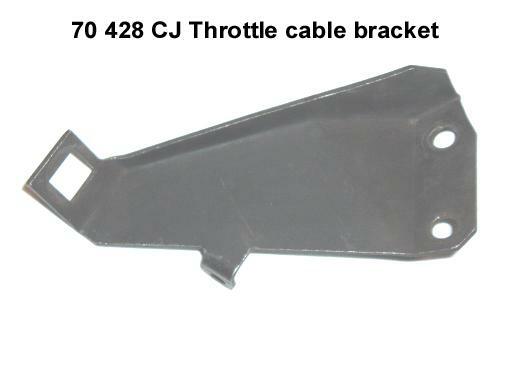 Note that the 1975 Master Parts Catalog doesn't seem to identify this part as used on a 1968 428 CJ Mustang. I need to thank Peter Disher for also providing information about the '68 bracket. Automatic transmission dipstick tubes and dipsticks: The 1970 tube is approximately 2" longer at the top (above the mounting tab) than the 1968-1969 tube and is painted pink. 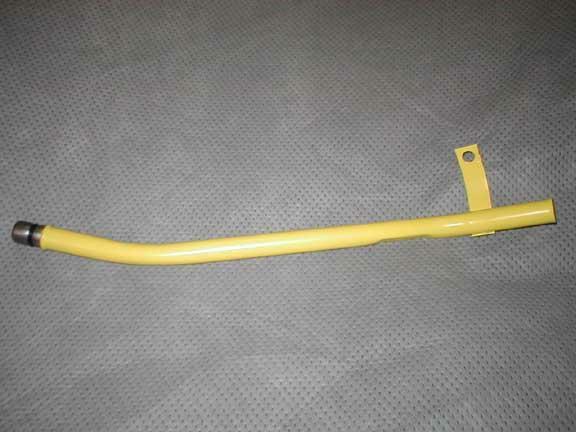 The 1968-1969 tube is painted yellow. The 1970 dipstick itself is about 2" longer than the earlier one. Please contact me directly if you have something that you'd like to contribute to this page.